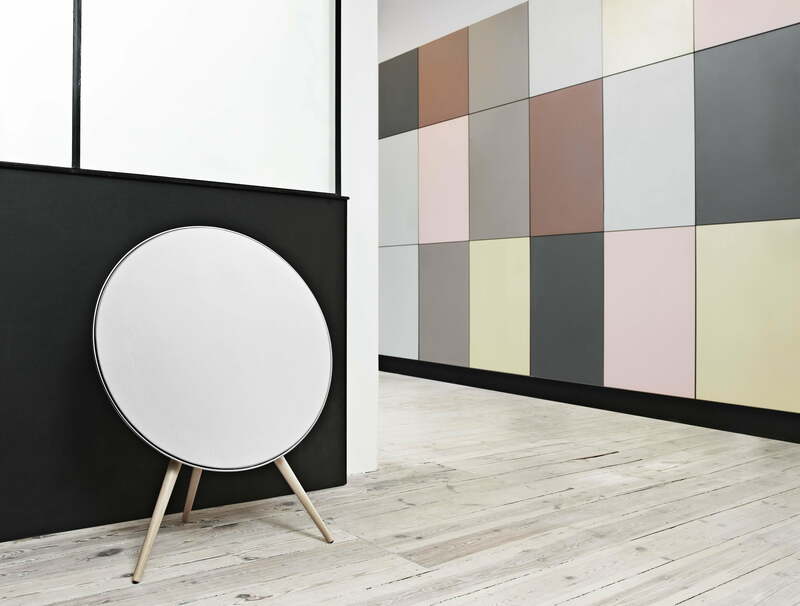 The Danish manufacturer Bang & Olufsen has developed a reputation for outlandish and beautiful designs, and delivered yet again last night with the unveiling of its new A9 wireless speaker. A smooth and button-less circle, the speaker is propped up by a beechwood tripod base that adds an earthy touch. B&O says that Øivind Alexander Slaatto, the speaker’s designer, turned to the natural world for inspiration and it truly shows. The BeoPlay A9 connects wirelessly to all your devices via DLNA or AirPlay technologies, so your control hub is generally going to be whatever you’ve connected it to — though the speaker itself does have a couple of tricks up its non-existent sleeves. If you slide your hand clockwise along the top half of the circle, you’ll turn the volume down, slide your hand counter-clockwise and you’ll turn the volume up. Rest your hand on top of the circle for a few seconds and you’ll mute the music entirely. There’s no doubt the design is both beautiful and user friendly, right down to the Fibonacci pattern on the speaker-face. More important at the lofty price-point of $2,700, however, is how the A9 actually sounds. 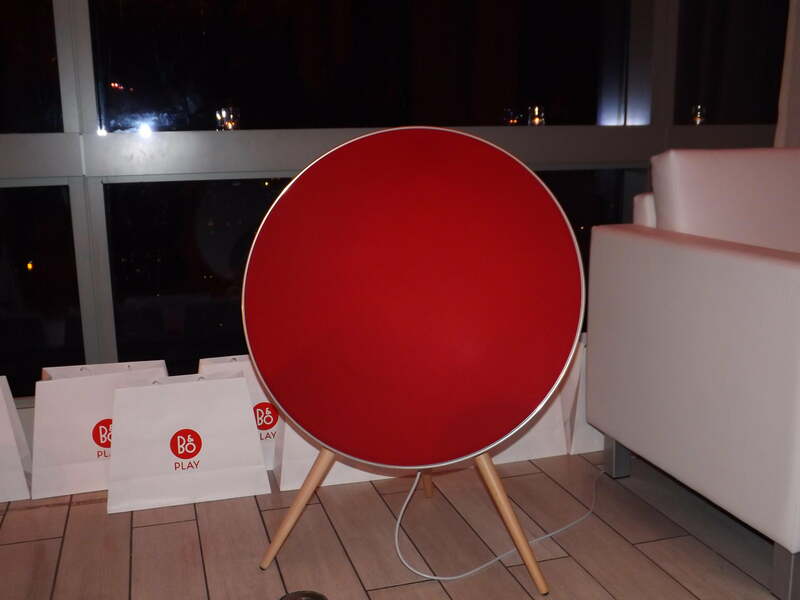 Last night’s big reveal coincided with a live musical performance, which was piped throughout the voluminous Trump SoHo penthouse using just two A9 speakers. In this forum, the speaker was slightly underwhelming. Perhaps it was the ambient chatter; but more likely, the speaker just isn’t suited for quite so large a venue or for live sound reproduction. Later, we had a chance to try a more intimate listening session. In the upstairs loft of Trump’s duplex suite, a lone A9 showcased a riffing Stevie Ray Vaughan. The speaker delivered the mellow, bluesy mood-music beautifully. In this smaller setting, the sound felt full and ubiquitous. Under the hood, the Bang & Olufsen A9 features one 8-inch woofer, two 3-inch speakers, and two ¾ inch tweeters. It also sports a 480 watt-total, digital Class-D amplifier system with discrete amplifiers for all speakers. A wall mount and six interchangeable cloth covers are available as add-ons, and connectivity options include USB and Ethernet inputs, as well as a mini-jack. The product will be available in late November at Bang & Olufsen stores, the B&O PLAY online store, select Apple retail stores, Apple Online, and select design stores.